Don't get side-tracked - hop aboard the train of trading success! Learn more in this members-only video. Join Trading Coach Jerry Robinson for a brief discussion of the future of renewable energy and China's involvement. Later, a particularly interesting look at using leverage to maximize trading profit potential. Jerry begins today's call with a reminder to always do your own due diligence before investing your hard-earned cash, including consulting a trusted financial advisor. 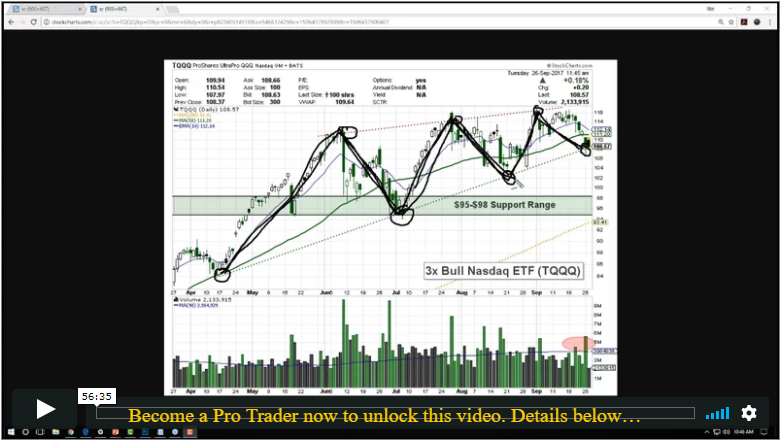 Also, Jerry charts the markets, reviews our daily trading ideas, and answers member questions.